The flagship product of the Tag surveillance fleet. 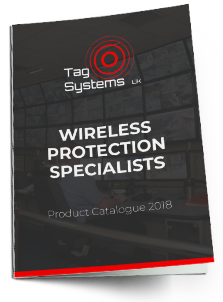 Tag Systems pioneered the development of wireless CCTV security systems which are at the heart of surveillance and was one of the first companies in Europe to use dual data channels on the mobile phone network for video transmission resulting in two UK government ‘Smart’ awards for innovation. We have kept at the forefront of development of surveillance equipment and offer a range of wireless camera solutions from entirely standalone “3G” systems to networked installations using wireless LAN technology. The flexibility of being able to tailor a set of equipment specifically to our customer’s needs is a huge advantage. Tag Systems provides CCTV to a diverse range of clients including shopping centres, quarries, construction sites and office complexes. Long before installation, we undertake an extensive on-site survey and take the time to understand what you want the security systems to achieve, to ensure that when it is commissioned, it fulfills your requirements in every respect. We want you to get the most out of our CCTV security systems! Where appropriate, all projects conform to the necessary British Standards and Codes of Practice and are supported by the Company’s own ISO 9001 accreditation. We like to make sure that the CCTV we provide is up to scratch! TagWatch is an integrated detection and camera system which is battery powered and totally wireless. This product is perfect for nighttime surveillance as well as throughout the day. The camera includes infra red LEDs which will illuminate dark areas to allow the camera to function in any environment. Short video clips are sent to the remote monitoring centre enabling visual verification of alarm activity. Why is CCTV important in combating crime? If you consider the advantages of installing a CCTV security system, it’s very easy to see why. When they catch criminals red-handed, they can provide valuable evidence for prosecutors. After all, it’s hard to deny that you’ve done something if footage of you doing it exists! On top of the prosecutions, we should also consider the crimes which security cameras prevent from happening in the first place through deterrence. Security cameras represent a deterrent for would-be thieves and vandals, whose actions might inflict enormous amounts of damage to a business, particularly one dealing in high-value goods. For this reason, businesses advertise their presence through signs bearing messages like ‘intruders will be prosecuted’. Such measures will help to discourage would-be intruders, who are looking to minimise their personal risk. What different sorts of CCTV security systems are there? CCTV has been adapted to suit a wide range of different circumstances. This means that, however your premises are laid out, there will be a solution to cater for them. For example, in dimly lit places, it might be advisable to install an infra-red camera, while in a brightly-lit place, this might not be necessary. By the same token, a camera which only needs to cover a fixed direction, like covering a vehicle access gateway, can be fixed to constantly point in that direction. On the other hand, in situations where a camera needs to observe a large area, then a camera whose direction can be pre-programmed or manually controlled would be better. Technology has brought about several new sorts of camera giving CCTV layers dependant on distance, location, budget and objectives. Dome cameras have a considerable advantage – they can be pivoted to face a given direction, but it’s impossible for a potential wrongdoer to see what direction that might be. Wireless cameras are advantageous also in that they can be installed easily, cheaply and with minimal interference in the infrastructure of the building itself – making them especially useful in period or historic property. Moreover, wireless cameras are less vulnerable to sabotage by an enterprising criminal with a pair of pliers.